Children’s homes are effective ministries for evangelism. How can we reach a Hindu for the Lord? A Buddhist? A Muslim? One way is by bringing children with these backgrounds into the Christian environment of a children’s home and discipling them faithfully in God’s Word. With their continuing ties to extended relatives and others back in their home villages, they can return as witnesses to lead others to the Lord. It works! Children are coming to the Lord. If we can meet their needs, educate them and provide a firm Scriptural foundation, we can disciple many leaders, fully prepared to serve their God and reach their own people as adults. We are serving fellow believers with child sponsorship programs through the local churches. Our programs help children of pastors, evangelists, widows and impoverished families who might not be able to provide education and adequate nutrition for their children. When financial circumstances become difficult, it is common for parents to reluctantly send a child "out to work." Sometimes, survival does not offer any other choice. This usually means a job as a field worker or household servant. It is rare for a child "sent to work" to ever return to school or to have any kind of future beyond menial work. Girls are often sent to work to provide school fees for their brother, and the girl might be as young as eight. In the villages, the girls might be arranged in marriage after the fifth grade, because there is no money to continue school and no other purpose or life choice for her. Sponsorship means a girl can stay in school and avoid life as a servant or early marriage. Sponsorship means a boy can finish education and provide for a family someday, breaking this heartbreaking cycle. Sponsorship helps parents and pastors prepare strong, discipled witnesses and leaders in all walks of life. We are working with strong, committed national believers in each of our countries. They know the language and the culture. The love their people and know how to reach them with the gospel. With only a little help, we can greatly expand their reach. We raise funds for Bibles and literature, for motor bikes and petrol, for projectors and generators to show the Jesus video. We help with small building projects—such as providing or repairing a roof, adding a toilet, occasionally building a small church in a village. An important part of our work is to encourage, equip and enable the faithful pastors who are already ministering among the people. In each country, we have established sponsorship programs for pastors in need. We have Bible training programs for pastors in Nepal, Burundi, Nicaragua and Haiti. We fund projects to provide goats, chickens, pigs, fruit trees and vegetable seeds and tools. These things help a pastor provide for his family and give him more time for the evangelistic work. Medical ministry is a blessing to the believers, and an outreach to the unbelievers in the village areas where the need is so great. 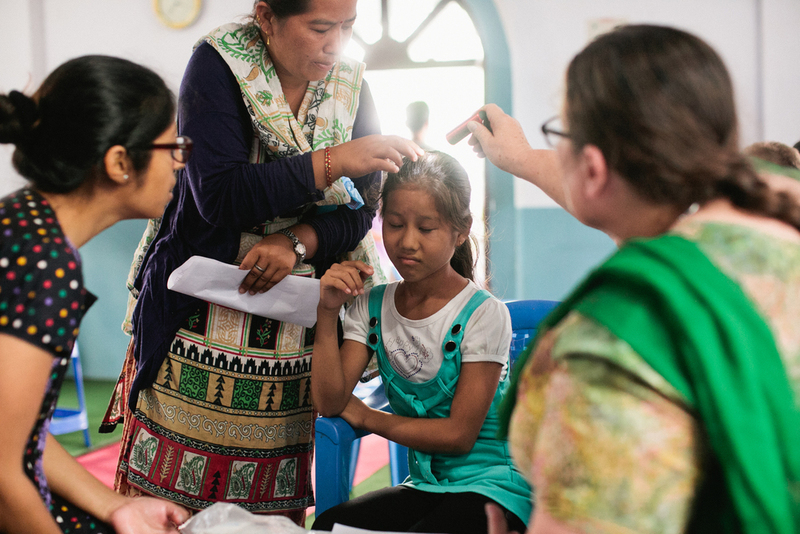 Medical clinics are a very effective way to open a new area for the gospel. They allow opportunities for pastors to meet and build relationships with people who might never have been willing to listen to them otherwise. They also provide a means to distribute Bibles and literature. Each time a medical clinic ministers in a village we see the churches grow in the following months. People who normally have no relationship or connection with the church will come to see a doctor. After they have received help for their health problems, and meet the pastor and some believers, it is easier for them to come join the worship and hear the Bible teaching. We organize, fund and implement medical clinics annually in Nepal, and occasionally as possible in other countries. We need American doctors to come join a support team of Nepali believers as we go into the villages to meet the needs of people who have little access to medical care. The people come with a variety of health problems, including some that are rarely seen in the US. Dr. Hom Neupane, a member of our Board of Directors, practices internal medicine and rheumatology in Syracuse, New York. Each year, he returns to his home country with us to lead the medical team. He knows the people, the language and the customs. He knows the medicines and medical procedures available in Nepal, and places to make referrals when needed. The Lord commanded us to “Go.. and make disciples of all nations…” Many believers in the US want to go and are willing to serve, but they do not know how to go or where to go and need local contacts to connect with for ministry. Allow The Children fills the need as the vessel to help American believers minister in the countries where we serve -- bringing opportunities to help with sponsorship, projects, specific directed prayer or by physically traveling to the country and becoming part of the work. We have facilitated teaching conferences, medical clinics, building projects, and are simply giving people a chance to help.